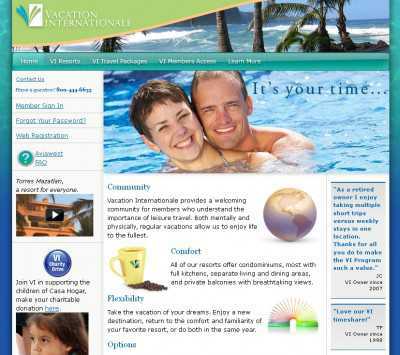 VIResorts.com is the website of Vacation Internationale Resorts, a community of owners who offers a variety of resorts and vacation packages at reasonable prices, so that you can have and unforgettable vacation experience without having to spend a king’s ransom in the process. 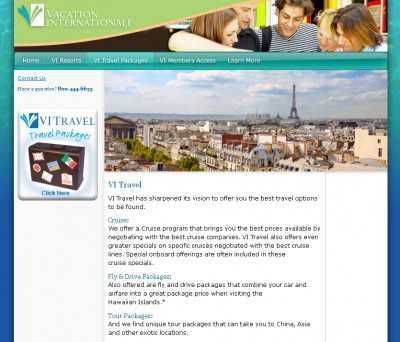 On VIResorts.com you will get information on the amenities and activities that are available at each one of the featured destinations. What’s more, if you are looking for vacation packages and cruise programs at good prices, you can visit this site and get information on the ones offered by Vacation Internationale Resorts. And there’s also lots of fly & drive packages available. 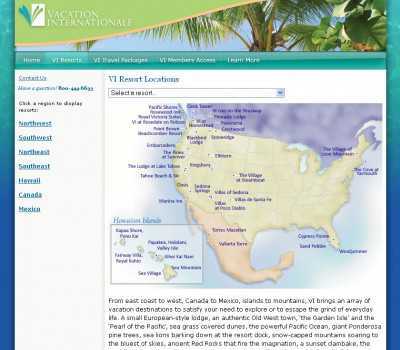 The available resort locations can be browsed by region, with you being able to cover the whole of the US just by clicking on the State you’re thinking of holidaying at, or picking the area from a list. In addition to the US, both Canada and Mexico are supported. Registration to the site costs nothing, and you’ll need to sign up for an account if you want to connect with any of the featured homeowners, and interact with them. The registration form is available here, and you’ll complete it in two or three minutes at most.